Here we are, already half way through our time on the island this time around. The weather has been beautiful and as I type this from my kitchen table, I have breeze blowing through the screen doors and a lovely view of the Pillsbury Sound–a place where the Caribbean Ocean meets the Atlantic. We are half way through our Zero Waste Challenge (ZWC) and it’s going great. Since I last wrote, we found that there is some aluminum can recycling! St. Thomian’s can save their cans and drop them off at the Montessori School or around island where you see cans labeled with E.A.S.T. (Environmental Association of St. Thomas–St. John). Now that we have this information, this is our splurge. 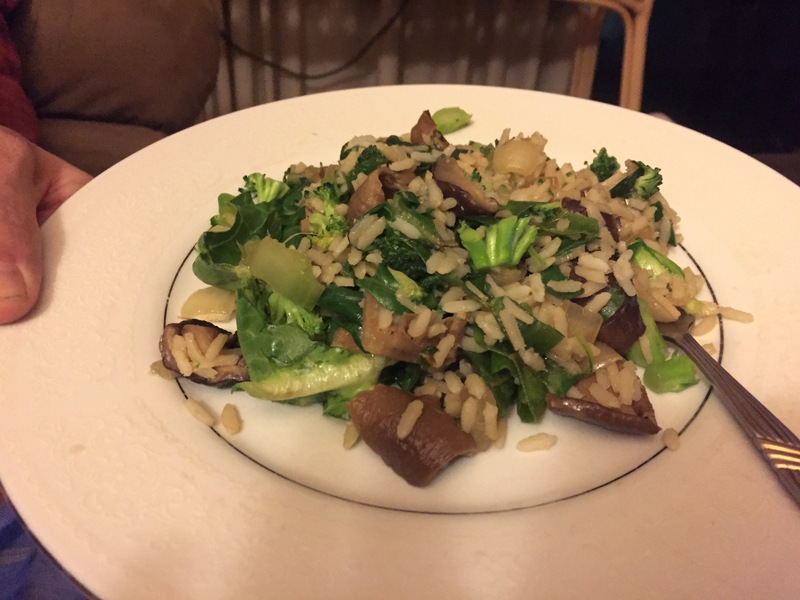 I’m not going to lie…during week #1 I was having beer and chips withdrawal! There is nothing like a sunny laid back island to make you want an ice cold beer and almost all of them here come in glass bottles. (annoyed face). J and I had planned to find the restaurants that serve beer on tap and just make do with that. So I started investigating and there was one place in the town near us that had one. (The Tap & Still in Red Hook). We have yet to go there! See, we also have no car for the time we are here so we rely on the public transportation. It is convenient to have a car–as you can imagine–but being without one goes right along with our Zero Waste theme. 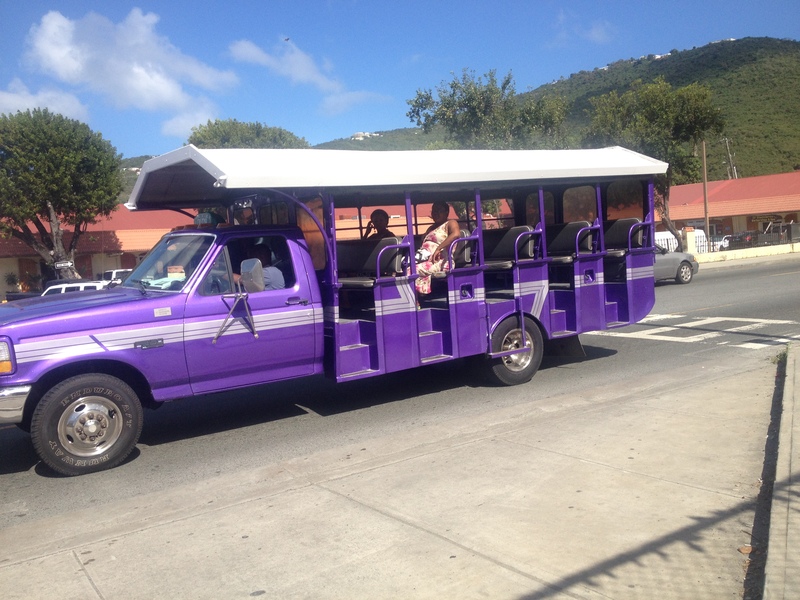 Safari Taxis are $1–$2 a trip and run until night time. Added bonus of the wind in your hair! So we are limited on our nightlife and decided to buy a 12 pack of beer. I miss my Guinness but we bought Heineken because it only had a pasteboard box around it–no plastic rings. I wanted Carib, but it was wrapped in plastic. I went through some chip withdraw, but let’s be honest, that’s a habit that could stand to be broken. 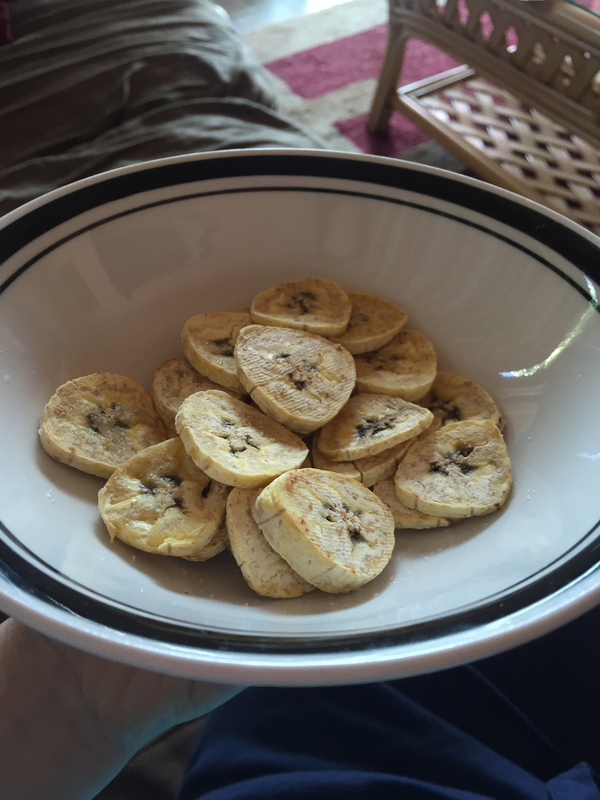 I experimented with making pan cooked Plantain chips and that helped! Some were crunchier than others, but I think some of the chip habit is just the repetitive motion of munching, so these did the trick. I made chickpeas with rice and vegetables like bell peppers and onions and added the Jamaican Curry Powder. For breakfasts, I made Amaranth and mixed in bananas for a kind of morning porridge. 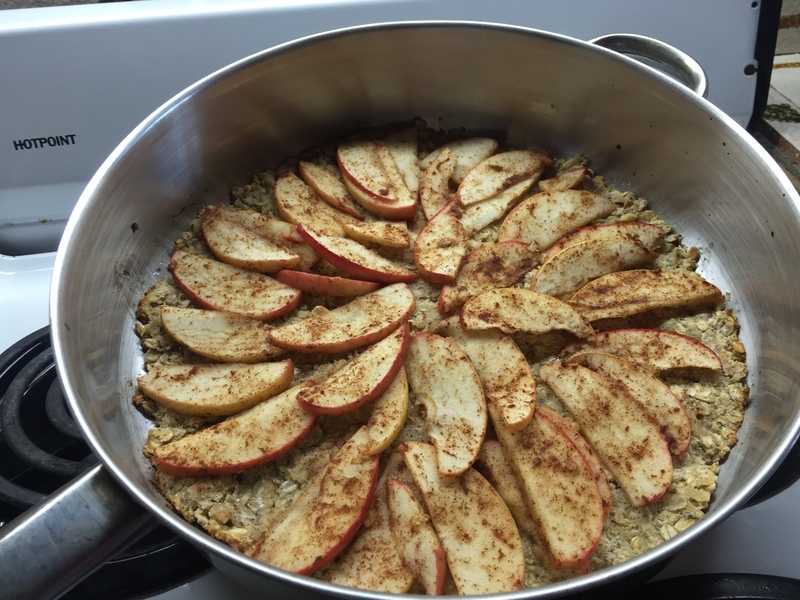 I missed breads so I created a little apple “coffee cake.” This had oats, coconut oil and honey, topped with cinnamon apples and baked then sliced! I did bring a few things with me to assist with cooking and adding extra nutrients. (Also some things I had at home and just wanted to take with me to use.) So I came prepared with reused spice containers of chia seeds, sea salt, Tony’s Creole Seasoning, baking powder & spirulina. Then a bags of hemp hearts, Brazil nuts, spearmint tea, and coconut flour. These I have been using and plan to take back to the states with me. New lesson learned: things like chips, hemp hearts, and trail mixes all come in plastic bags that probably can’t be recycled in the states ANYWAY so, I am contemplating how to replace those in my daily life forever. I’ll miss fancy chips and Trader Joe’s trail mixes but I have to walk the walk! I will make my own trail mixes after buying ingredients from bulk bins and stick to chips in paper bags or bring back air popped homemade popcorn to my life! Moving on from food…we are using up our last container of floss in the bathroom and I plan to get natural silk thread to replace it with, as I read in “Zero Waste Home.” I DID end up purchasing a Lily Cup from http://www.intimina.com/en/ and am excited to give it a go. And VERY excited to never have to buy expensive tampons again and to cut back SO DRASTICALLY on my garbage just from that! J and I have both been using baking soda as shampoo (We’ve been doing this for a year now), and have added apple cider vinegar as our conditioner with fantastic results. I purchased one container of Alba (natural) sunscreen and am using it sparingly with my coconut oil for sun protection. I enrolled myself into a beginning sewing class to beginning learning the skills that will allow me to make mine and my future family’s clothes as well as cloth napkins, tissues, bags, curtains, tapestries, etc! Then I can be in more control of what we purchase and bring into our household. Also I wanted to say that we have had such positive responses from virtually everyone we have spoken to about this. I kept waiting for bartenders or waiters to roll their eyes at us when we hand them our plastic cups to reuse but no one has! In fact the opposite. Many have thanked us and told us how much the waste issue down here bothers them. Some share the little things they to do help, like bringing their tupperware to work to bring home their shift meal in or encouraging their patrons to reuse their same straw when they get a drink refills. What I love is someone saying, wow, that’s a great idea…I’m gonna start doing that too. And, remember, every LITTLE thing helps. Yes Oregon definitely has it goin on! And there are lots of PT jobs down here so I can hook you up!